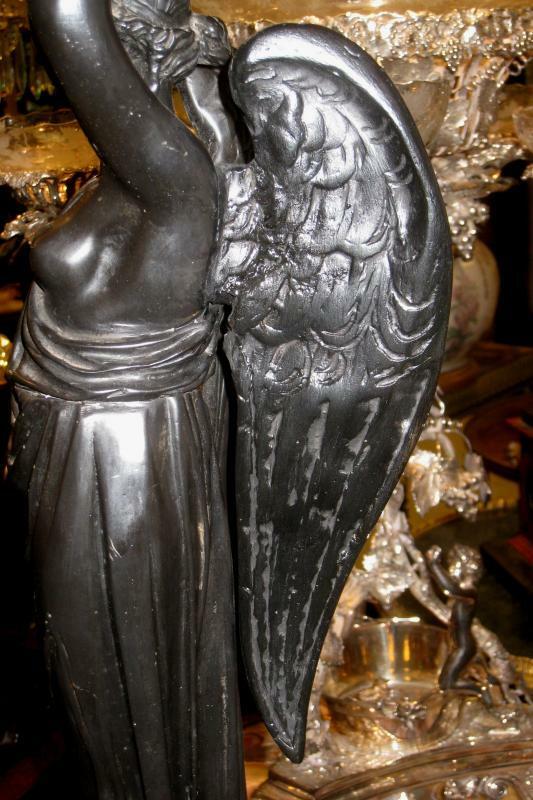 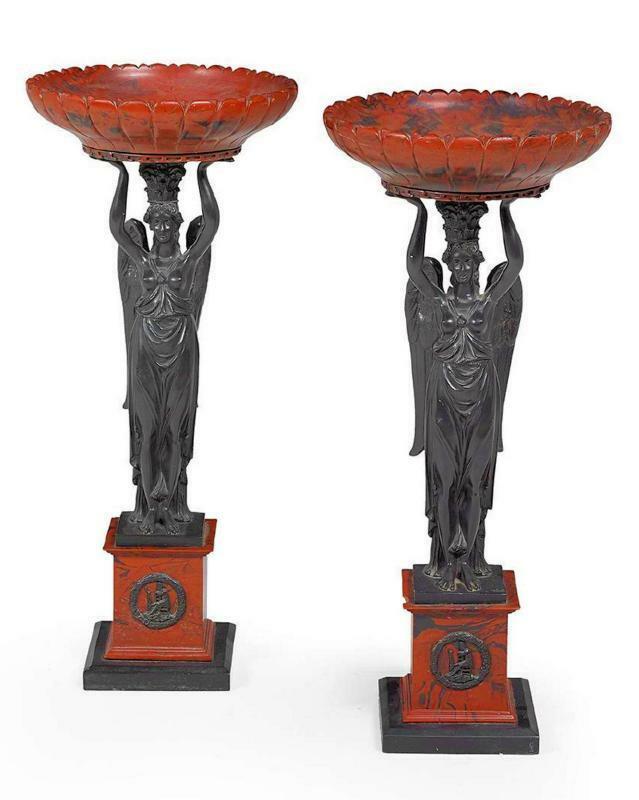 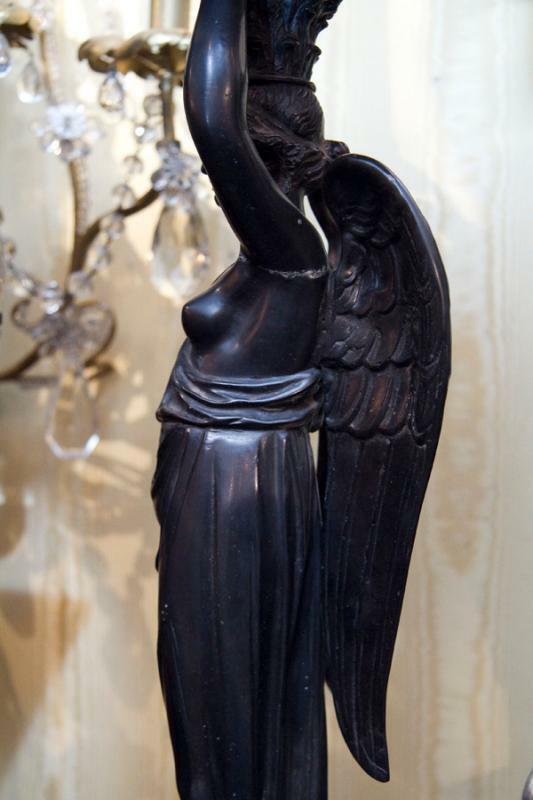 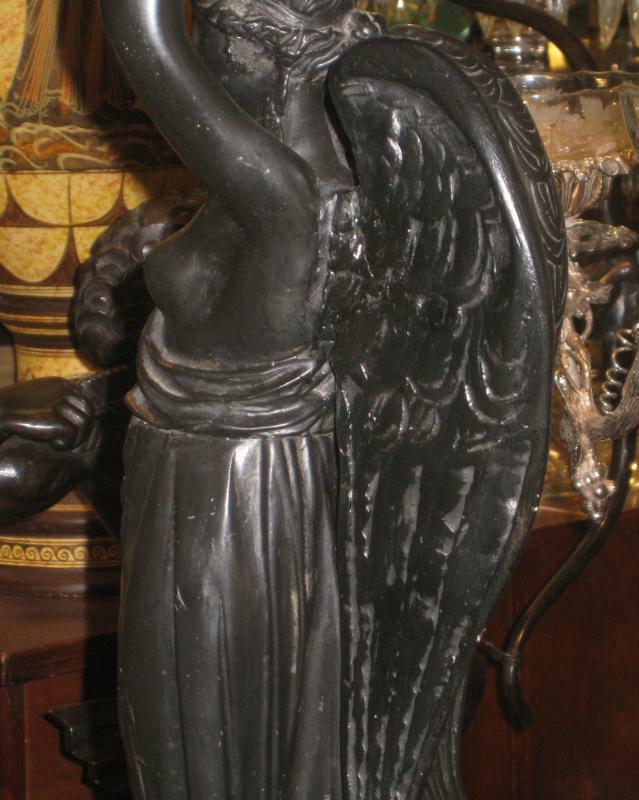 This unique pair of tazza in the French Empire style feature depict mythological winged females in faux bronze with dark brown patina, standing upon rouge marble pedestals, holding large, faux rouge marble bowls. 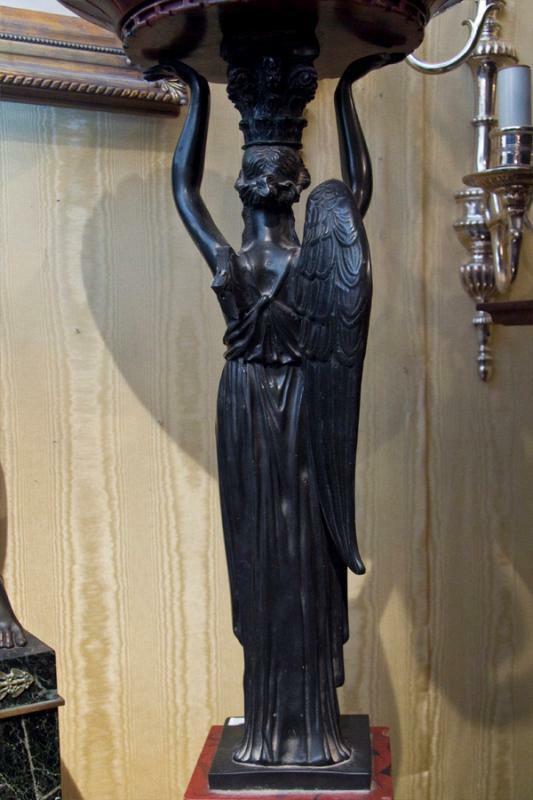 Measures: 31 x 13.5 in. 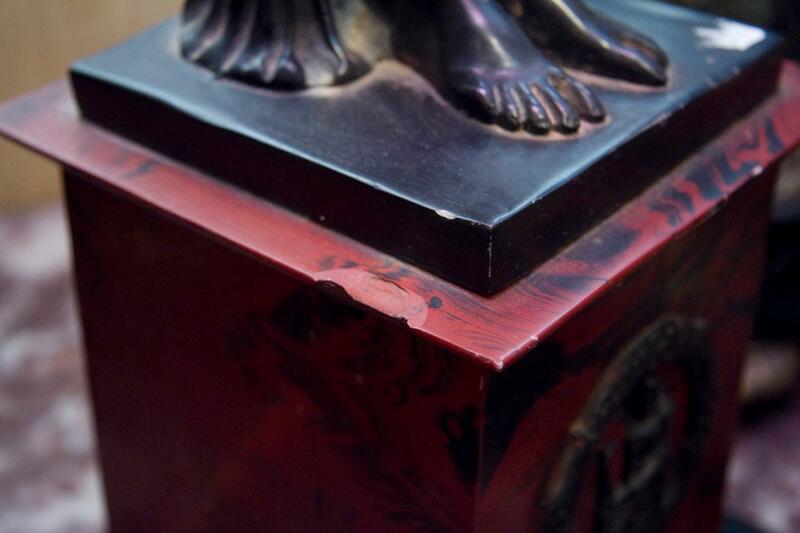 There are restorations to a broken wing and arm, and chip losses to the pedestals as seen in our images. 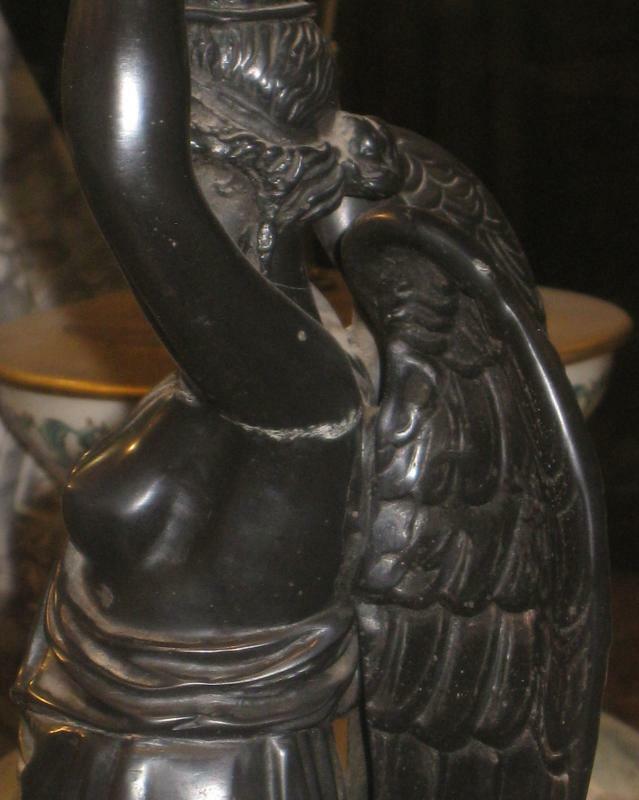 Material appears to be molded plastic or some type of composition.